FLAMMY is a clicker - game developed by WOPA INTERACTIVE. 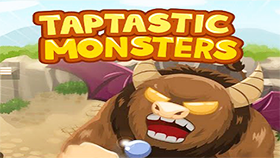 The game has cute graphics, bright colors and is suitable for all ages. 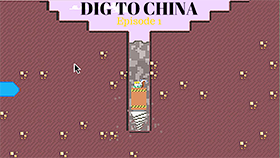 You can play this game in your browser because it is a flash game. In the game, your mission is to help Flammy escape the volcano. You will play the game with a vertical screen. Above the screen there will be gems for you to collect and the rocks are in your way. Flammy is able to move in the air and with each click on a location, it will launch to that location with a very strong force, which can break the rocks. The more gem you eat, the stronger the Flammy. However, if Flammy is pushed down the lava at the bottom of the screen by the rocks, you will lose. And you should also notice the red stones, Flammy will lose a life if touched them. Controls in the game are very simple, just use your mouse to control Flammy. You can play in full screen mode. Eat the glowing stones that will support you in this game.